The original Castle Wolfenstein™ 5.25 disks from Silas Warner circa 1981. The first production DOOM® disks ever made known as “verification master disks” circa 1993. Many pieces of Deus Ex® concept art by James Daly III circa 1998. Original NES development hardware used to build Final Fantasy® 1, 2 and 3 circa 1986. A black Apple II prototype computer from Bob Bishop, creator of the first four hi-res games on the Apple II circa 1979. 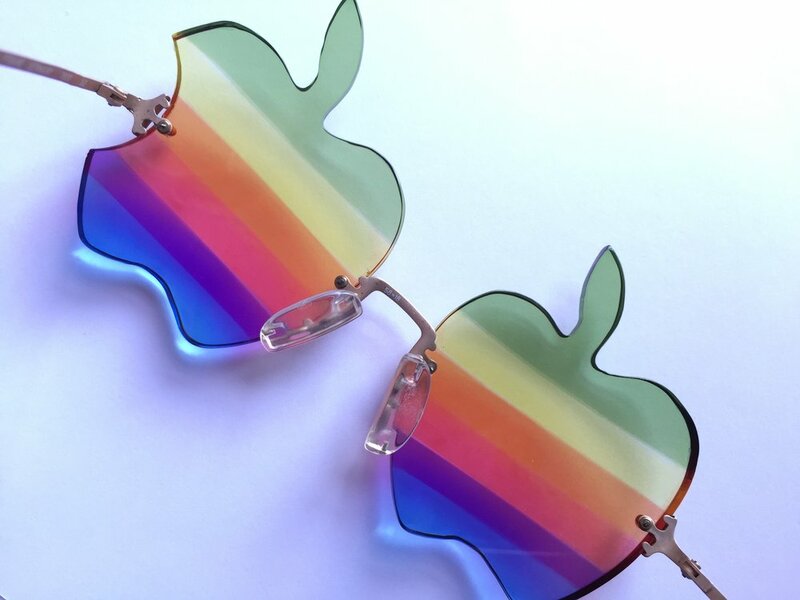 One of 30 pairs of custom-created Apple sunglasses by Steve Wozniak, circa 1982. 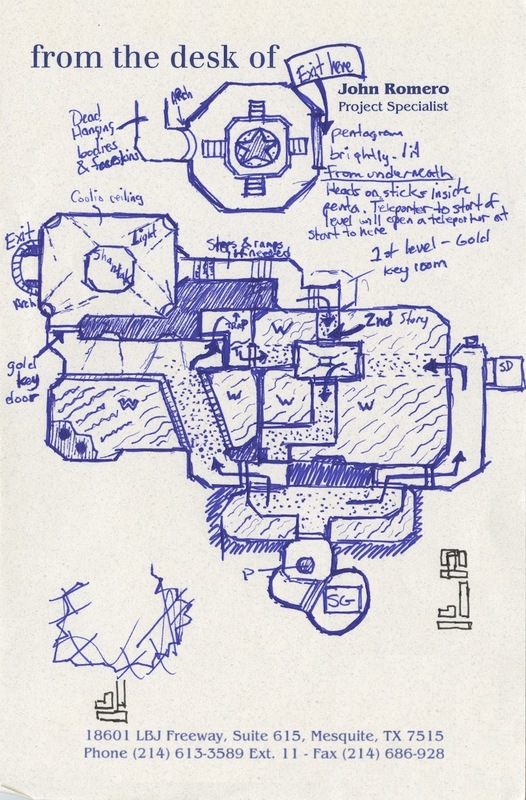 Original level design concept maps by John Romero circa 1996-1999. Original level design concept maps by Brenda Romero circa 1996-2001. The original SNES development system upon which Secret of Mana® was created by Nasir Gebelli circa 1991. The original DOOM® bible development notes circa 1992. Concept sketches of the original UAC logo. And there’s so much more. Beyond this, there are literally thousands of pieces of game history. Here and there, we’ve taken it out of its secure storage to show friends and fellow geeks, and we’ve loaned materials out to museums including the National Museum of Play at the Strong and The Centre for Computing History in Cambridge among others. We’ve supported other museums both financially, through events and through contributions of research materials. Of course, we’ll continue to do all these things. Now, we’re taking steps to create something that people can visit to experience the game design behind the games. Starting a museum — even a mini-museum — is quite the endeavor. To do this properly, it requires an archivist and curator specializing in games, digital media and ephemera, display cabinets, lighting and climate control systems (we’re in Ireland where the climate refuses to be controlled). Profits from the sale of this limited edition, signed and numbered print are for this purpose. We thank you for your support and your continued support of game history. Print numbers are allocated upon order. DOOM® is a registered trademark of id Software. Deus Ex™ is a trademark of Square Enix Co., LTD. Final Fantasy® and Secret of Mana® are registered trademarks of Square Enix Co., LTD. This offer is not affiliated with nor endorsed by any of the above named companies.